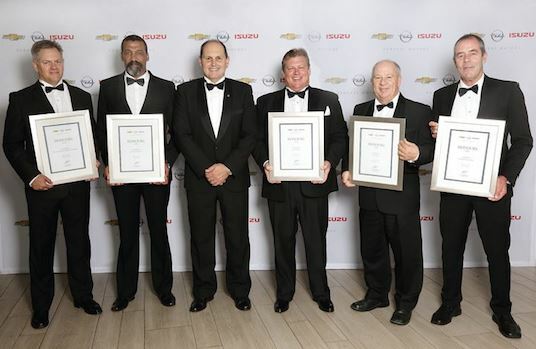 GMSA this week honoured its top performing dealers under the Chevrolet, Opel and Isuzu banners in 2016. "GMSA puts the customer at the centre of everything we do," said Nicholls. "In 2015 we rolled out the Complete Care programme, demonstrating our commitment to this core value and ensuring our customers peace of mind in their ownership experience. "We further extended this commitment by ensuring our dealer staff and technicians are attuned to the customer, keeping the customer in mind in everything we do. Technicians receive regular training to keep up to date with the ever-evolving technologies - we invest in 60 000 hours of dealer development and training per year. All GMSA service centres are equipped with a complete range of tools and analytical systems to carry out maintenance and repairs."